Brush pretzel twist lightly with water. Dip in red sugar to coat thoroughly. Let set until dry. Place pretzel on top of cupcake to resemble a heart, pressing lightly into frosting to secure. 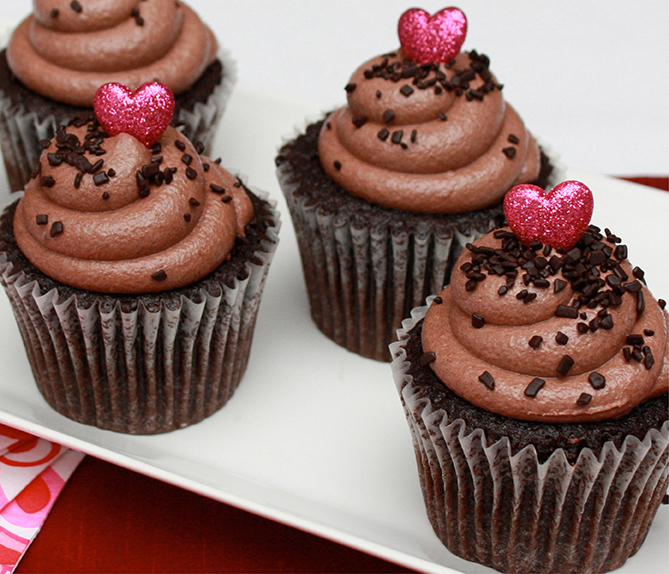 Use Red Velvet Cupcakes in place of the Triple Chocolate for another great look and taste.